TK2103 TK2106 TK2107 TK2118 TK2140 TK2160 TK2170 TK2180. VHF Antenna For KENWOOD. 140-170 MHz (VHF ). Impedance: 50 ohm. Compatible with . Flexible, slim design with SMA Male Connector. Connector: SMA Male. A little boy get his team jersey. A mom put food on the table. TheAntennaFarm is an authorized Diamond Dealer. Why buy from us. Who we are. The Original Retevis RT-805s Whip Antenna will allow you to get longer range on your handheld radio, like Retevis RT-5R,H-777,BaoFeng 888s,UV-5R radio. 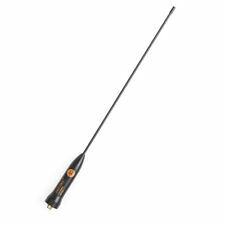 This antenna features a 2.15/3.0db signal with up to 10Watts of power. VHF Antenna. 136-174MHz (VHF ). Compatible with :Motorola. (can't fit motorola analog Saber I II III ,fit digital Saber). XTS1500 XTS2500 XTS3000 XTS3500 XTS5000. MTX800 MTX838 MTX850 MTX850·LS MTX8000 MTX8250 MTX8250·LS MTX9000 MTX-LS. SMA Male Dual Band Antenna 14 5 /435MHz (14.4" Whip). BAOFENG UV-3R ( NOT for UV-3R Plus/UV-3R ). Dual Band Two-Way Radio with Female Antenna Mount and use with SMA Male Antenna, such as SMA Male Dual Band Antenna 144/435MHz (7.56" Whip). Type: Short Dual Band Antenna. Antenna length: 9CM. Frequency Range: UV double section: 136-174 and 400-520MHz. 1Pcs Black. Gain: 435MHz: 1.13dBi 144MHz: 1.3dBi. Power: 60W. 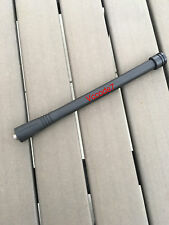 For Baofeng UV82 UV5R UVD1P TG-UV2R, Etc. Connector: SMA Female. Suitable for most SMA female plug Walkie-talkie. Type: Antenna. 200Pcs Glass Fuse Tube Axial With Lead Wire Fast Blows Fuse 3x10mm 250V/1A US. Frequency:136-174mHz VHF antenna. Compatible with Kenwood fellowing Radios Kenwood and other radios compatible with SMA-F type connector. 5PCS this antenna. TK-2160 TK-2170 TK-220 TK2207 TK-290. Trending at $15.90eBay determines this price through a machine learned model of the product's sale prices within the last 90 days. 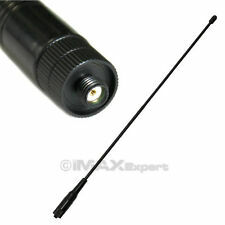 DIAMOND SRH805S SMA-F Female Dual Band Antenna Baofeng GT-3 UV-5R BF-888s Radio. Model SRH805S. 1Pc x SRH805S SMA-F Antenna. To Baofeng: BF, BF, BF, BF-UV5R, BF-UV5RA, BF-UV5RB, BF-UV5RC, BF-UV5RD, BF-UV5RE, BF-UV5RE Plus, BF-UVB5;. ST-20 Mini Dual Band Soft Radio Antenna SMA-F SMA Female Connector 144MHz/430MHz for Walkie Talkie BAOFENG UV-5R BF-888s UV-XR. For Gimbal Cold Shoe Adapter 22mm 25mm Rod Clamp Monitor Mount Bracket Holder.